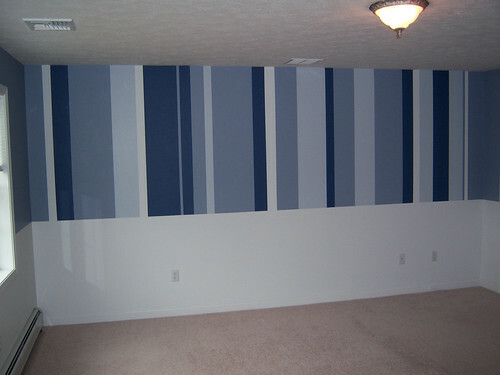 we wanted to do something interesting with the paint in our master bedroom. 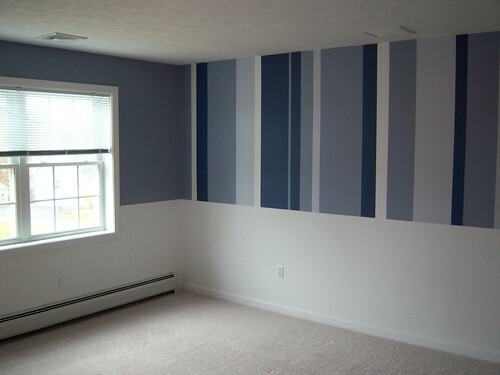 the paint color that it was, while not only being poorly executed, was something similar to this. although it took quite a while, we really love it. and we’re finally sleeping in our master bedroom! the room is really big, so while it seems like it might be overpowering or seizure-inducing in these few photos, it’s not quite so dramatic while you’re in the room. For what it is worth, I just scanned your wall using the android barcode scanner and it registers as a book on Malaysian tribal dances. Holy crap I LOVE it! Nice execution, dude. Prime opportunity missed to choose your own barcode! This is fabulous! 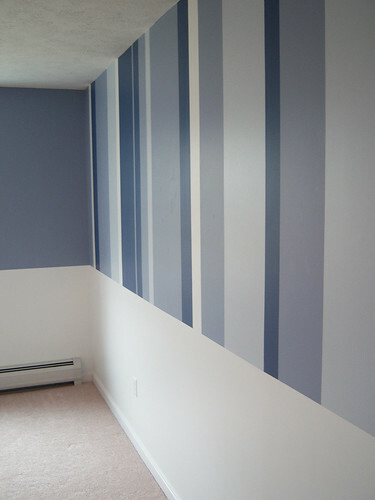 Want to come paint my house?